Schalke and Dortmund play a classic of German football this Saturday afternoon, to count for the 14th Matchday Schalke are 12th in the standings with 14 points, with 4 wins, 2 draws and 7 losses. Its goal ratio has 14 goals and 18 conceded, with an average of 2.5 goals per game. His home performance has been the most productive, adding 3 wins in the 6 rounds as visited. The team arrives in a negative moment, registering only 1 victory in the last 5 games played. 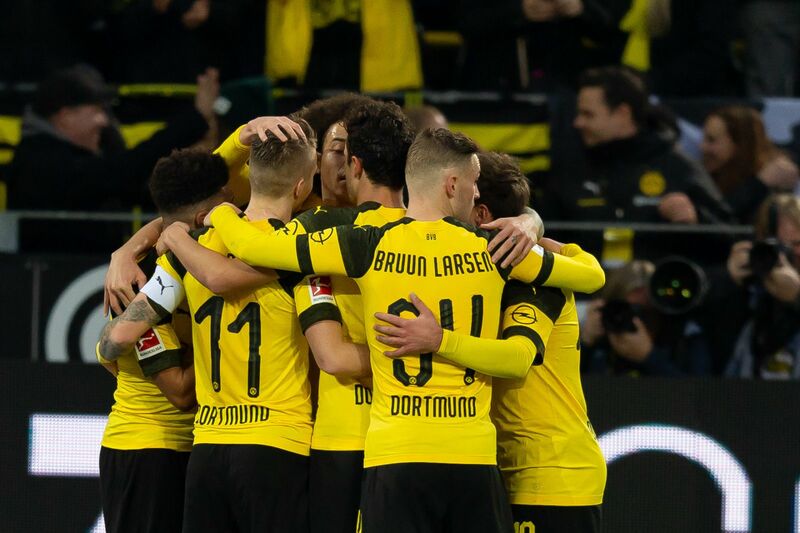 Dortmund are leading the German championship with 33 points, with 10 wins, 3 draws and 0 losses. In terms of goals scored 37 scored and 13 conceded, making an average of 3.8 goals per game. His out-of-doors performance has been quite positive, adding four wins in the six away games. The team has a good moment, registering 3 wins and 1 draw in the last 4 matches. I think we’re going to watch a game with several goals, some of them scored on both goals. Schalke is a team that does not usually have a roller-jet attack, but he scores very regularly, especially at home where he finished successfully in 15 of the last 19 matches against his fans. Dortmund presents the best attack of the competition and invoice in almost every game, so this will not be different. It should also be noted that the Dortmund to Gelsenkirchen trips are traditionally marked by the goals, with the market both scores to be fulfilled in 6 of the last 7 visits to the Veltins Arena.